This Sunday, September 30, Zenith polishes its manners as it again teams up with the Distinguished Gentleman’s Ride, a worldwide motorcycle event dedicated to supporting men’s health. 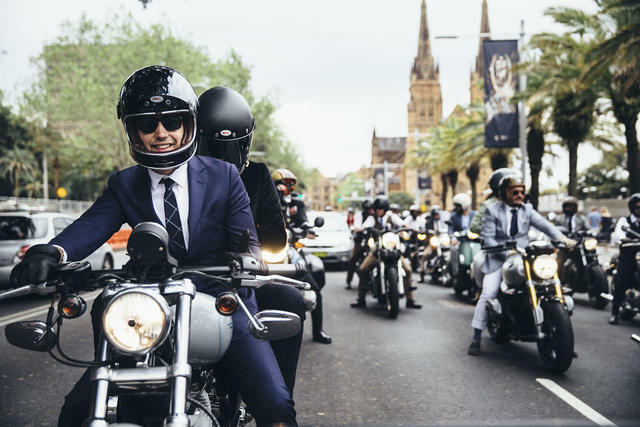 Expect more than 120,000 dapper dudes from all around the world donning their sartorial splendor as they mount their vintage and classic motorbikes and cruise. These mostly mustachioed motorcyclists are riding to raise funds and awareness for prostate cancer research and male suicide prevention on behalf of the event’s official charity partner, The Movember Foundation. 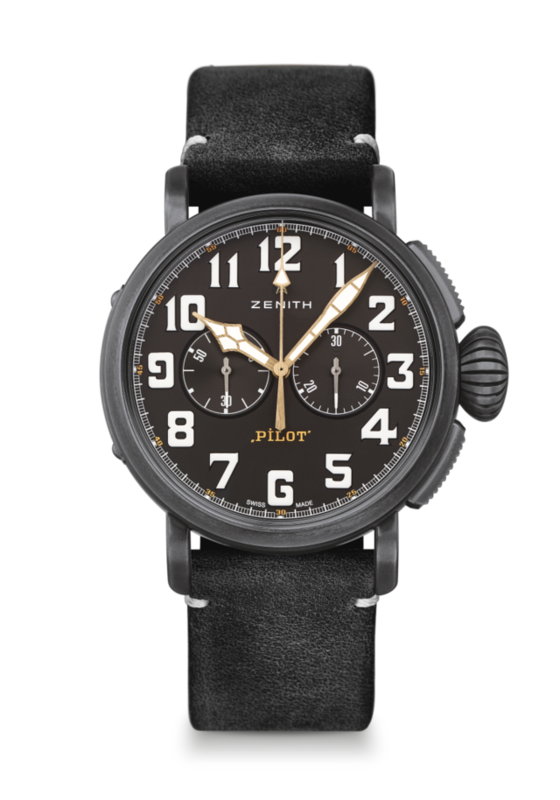 No stranger to the world of motorcycles, Zenith will mark the occasion with the Pilot Type 20 Chronograph Ton Up Black. 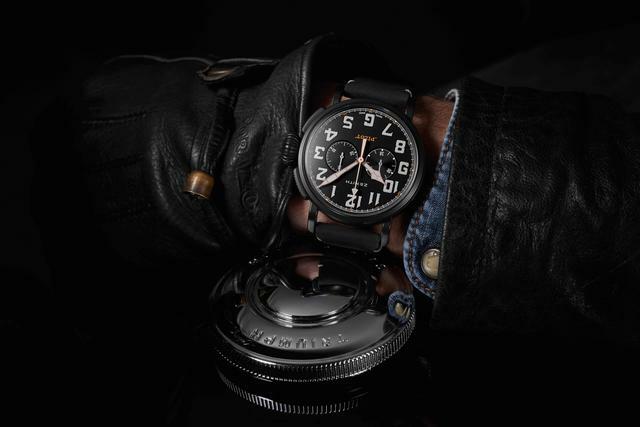 The “Ton-Up” is a reference to the group of bikers that embrace and celebrate the Café racer lifestyle. 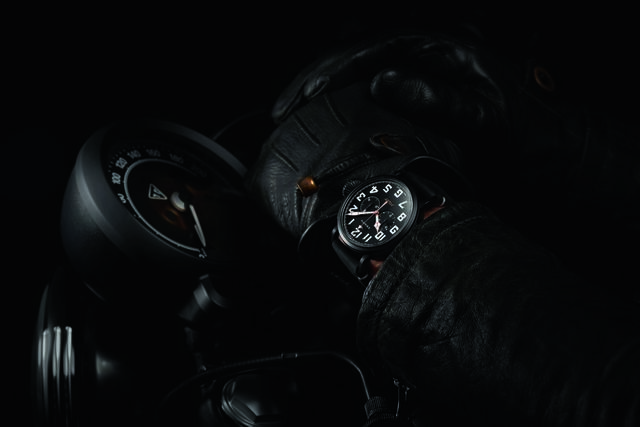 Like the namesake motorbikes, the Pilot Type 20 Chronograph Ton Up Black is free of extraneous décor. 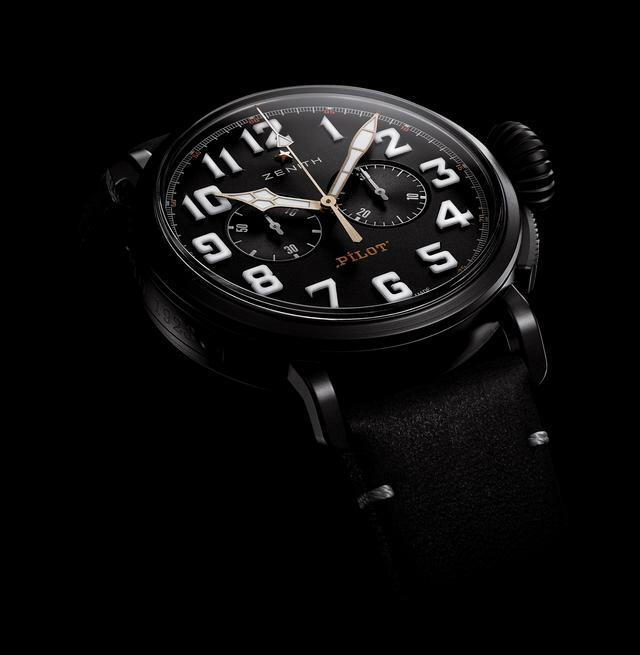 The watch sports a black matte dial housed in a 45mm aged steel black case. On its back you’ll find an etching of a café racer and motorcycle. The high-speed (36,000 VPH) El Primero automatic 4069 caliber with a 50-hour power reserve is the engine of choice for this retro chassis. 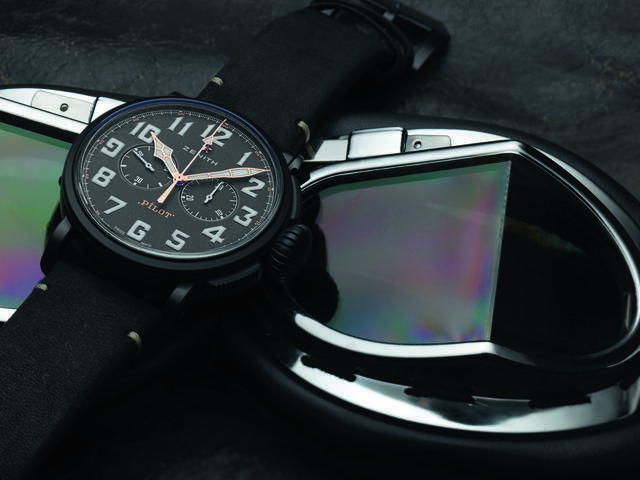 The new Ton Up Black is held in place with a nice looking rubber-lined nubuck leather strap and a titanium buckle. Retail price is $7,100. In addition, a special limited edition of the watch with a monogrammed leather strap will be offered to Riders who raise the most funds. The Distinguished Gentleman’s Ride, sponsoring Rides in almost every U.S. state and across the world, is based on an idea dreamed up in 2012 by Mark Hawwa in his native Australia. Since then the Ride has visited more than 650 cities in 95 countries as enthusiastic riders proudly display their elegance on café racers, scramblers, choppers, bobbers or even vintage scooters. The event has become one of the largest charity fundraisers for men’s health, raising more than $13 million to date, with hopes of adding another $6 million this year. To learn more about how to sponsor or become a Distinguished Gentleman in the United States, click here.